Protecting ocean health by restoring the ʻāina: mauka to makai. In 2007, Hui o Koʻolaupoko (HOK) was established as a permanent 501(c) 3 non-profit entity, serving as the successor organization of the Kailua Bay Advisory Council (KBAC) – the organization previously tasked with fulfilling a 1995 Consent Decree from the litigation over the Aikahi Waste Water Treatment Plant. KBAC was responsible for developing a volunteer water quality monitoring program; a technical/scientific program; and an implementation program for on the ground restoration. KBAC established HOK to carry out the responsibilities of the Consent Decree and HOK began by researching and developing the Koʻolaupoko Watershed Restoration Action Strategy (WRAS), which provides direction for watershed management in Koʻolaupoko – from Makapuʻu to Kualoa. The WRAS addressed all of the U.S. Environmental Protection Agency (EPA) nine elements of watershed plans and the document was approved by the EPA in 2007. Since these beginnings, HOK has been working to achieve the goals outlined in the WRAS by implementing restoration and low impact design projects that ultimately aim at protecting water quality. This is done in partnership with stakeholders including interested citizens, non-governmental organizations, government, educational institutions and businesses while using and focusing on sound ecological principles, community input, and cultural heritage. 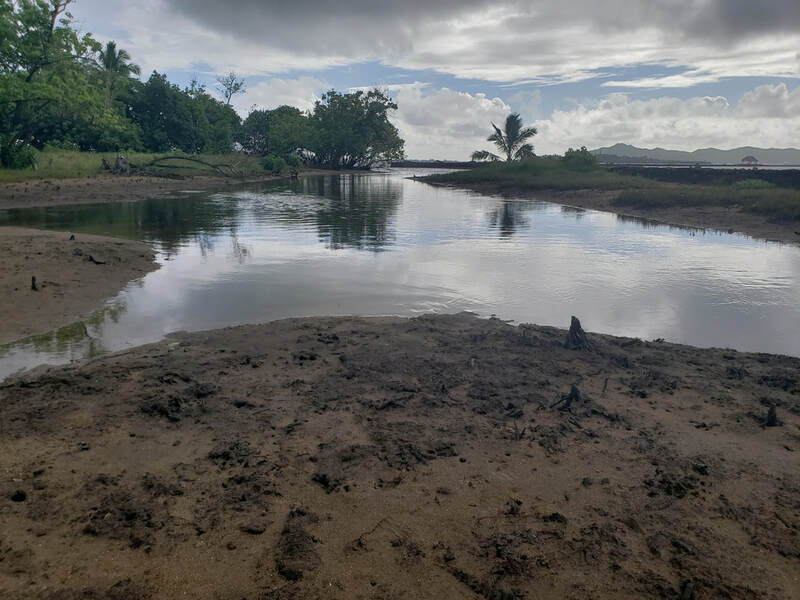 Throughout the Koʻolaupoko moku in Windward Oahu, land-based pollution is a leading threat to ocean health and resources. These problems are most often the result of urban development, agriculture, habitat alterations such as streams lined with concrete, loss of wetlands, non-point source pollution, on-site sewage systems and introduction of non-indigenous flora and fauna all contributing to poor water quality and loss of ecosystem function. Significant pollution including sediments, nutrients, suspended solids, heavy metals and trash. 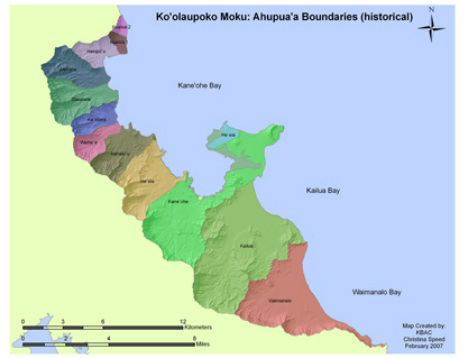 Hui o Koʻolaupoko focuses primarily in the southernmost region of the Koʻolau watershed, managing estuaries from Hawaii Kai to Kualoa. multi-generational learning. This includes field trips, in-class room education, outreach presentations, volunteer water quality monitoring and partnerships with local higher educational institutions. HOK’s mission is accomplished in a large part with the support of community volunteers. Every project involves a significant community component from seeking project input, design alternatives or involvement long-term maintenance. Additionally, as a community supported non-profit, tax-deductible donations allow HOK to provide environmental education and perform necessary long-term maintenance at restoration projects, ensuring the protection of ocean health for future generations. Along with HOK’s restoration work in Koʻolaupoko, the organization provides services via a cost recovery basis including technical consultation, restoration design, training and watershed restoration capacity building throughout Oahu and the State of Hawaii. A'ohe hana nui ke alu 'ia. ​No task is too big when done together by all.